The U.S. is a melting pot, or a society that was formed by many different immigrant cultures, ethnic groups and religions that produced a new, hybrid culture: American. Most Americans celebrate many different types of holidays and customs that were started in other countries, eat a wide variety of ethnic foods and have started several new traditions. First-generation Americans can face many struggles when trying to assimilate to the new culture while attempting to respect and maintain their family's traditions, language and culture at the same time. Sometimes the differences between two cultures can create conflicts both within and outside of the family unit. Some of these American qualities conflict with cultures that place family as the top priority and feature a stay-at-home parent. In the U.S., it is relatively common for both parents to work, and American women are equal partners in marriage. Some Middle Eastern cultures have very specific male and female roles, which conflict with the typical U.S. gender roles as well. In the U.S., marriage is typically based on love and couples choose their own spouses. It is also quite common for couples to date for long periods and even live together before getting married. These aspects can create major conflicts for first-generation Americans whose parents are much more conservative and traditional. For example, in many cultures, parents arrange the marriage, which is based on family status and needs. Adult children are expected to marry within their social class, and some do not even meet their future spouses before the wedding. Another area of conflict is interracial dating. Many cultures, including some American families, want their children to date and marry another who is from the same cultural or religious background and will go as far as excommunicating family members who dare to date or marry someone different. While the U.S. is a melting pot, many Americans classify themselves as Christians. While Catholicism and Judaism are practiced widely, other religions, such as Buddhism, Hinduism and Islam are not as widespread. Immigrants who practice these types of religions may be conflicted when it comes to religious holidays and other practices, such as extended fasting or daily prayers. 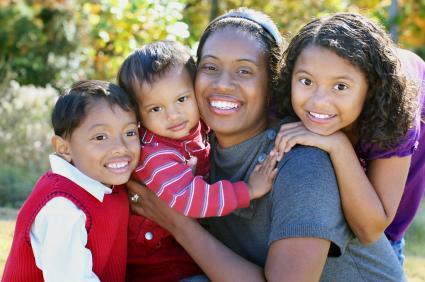 In the U.S., the most common family unit consists of the immediate family, or the parents and children living under one roof. Most American children are taught to compete, through organized sports and education, as well as speak their minds and have confidence to stand up for what they believe in. American kids also typically leave their parents' homes around college-age. This can be a major culture shock to immigrant families who teach their children to respect and obey their parents at all costs, as well as for cultures who expect their kids to remain living at home until they get married. Many immigrant families also feature several generations living under one roof, with younger family members respecting the needs of and valuing the opinions of the elders. Many first-generation Americans experience difficulties maintaining their family's native language. While the U.S. does not have an official national language, English is the main spoken and written language. Some families do not want to lose the linguistic connection to their homeland, and they speak their native languages in their homes. They also watch television and read the news from their native countries. Their children are expected to speak the native language in the home, but master English in school and at work in order to be successful and communicate with their peers. When people from different cultures get married and have children, they may have issues when it comes to maintaining their unique traditions and blending shared customs at the same time. It can be a challenge to find the perfect balance between cultures. However, with a little effort, children in these families can benefit from having both outlooks and traditions. For example, the children in a blended Mexican and American family can celebrate Halloween and Dia de los Muertos (Day of the Dead) in October. Children who are raised bilingually can also benefit in future careers as well as pay attention and learn to make decisions better than monolingual kids. In a world that has become increasingly more global due to the Internet and advances in travel, it is more and more common for different cultures to interact and blend. One of the keys to mastering the introduction to new cultures and customs is simply having a curious mind and an open heart.